Placing an implant requires several steps. At each step, we will provide a list of instructions for you to take home. We always strongly encourage our patients to follow these instructions precisely, to ensure the best possible healing environment. If you have any teeth that need to be extracted before we place the implant, we will do this first. 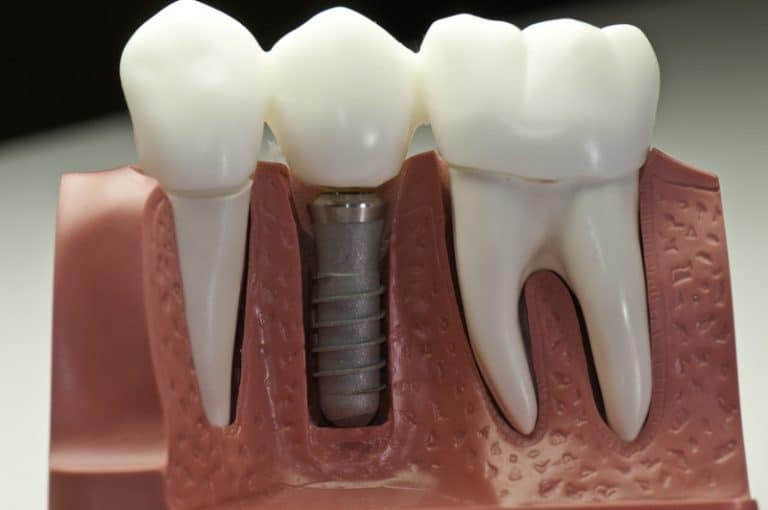 In many cases we can also place that implant post at the same appointment. However, if any infection was present at the time of the extraction, we will need to give the area time to heal before we place the implant. If a separate appointment is needed for placing the implant posts, we will wait until the extraction site has healed. Your post-op instructions will be much the same as those following extractions. It is especially important to keep the site clean, and to leave the blood clot intact. Our bodies’ clotting process plays an important role in healing, and dental implants are no exception. We also recommend plenty of rest for the first day, and to follow our instructions on pain management. You may experience some swelling, which can be managed with ice packs. Minor bleeding is common, but we will provide instructions on how much is too much, and when to contact us. Once your implant has healed—a process that can take several months—we will have you come in for the final crown. This process is relatively straightforward, and you will not have nearly the restrictions on activities and food that you had with the earlier steps. Once the crown is in place, we want you to avoid chewing on that side for the first 24 hours, to ensure the bonding cement has properly cured. Once you get past the first day, you can resume full regular activity. If you are having an implant-supported denture, or a removable partial, your post-op instructions are even simpler. Once we complete placement of your device, you can immediately resume normal activity. We will review instructions on proper cleaning and maintenance of your prosthetic at this appointment, too.